My head is cloudy with a summer cold (fun!) so I haven’t really been blogging, but I have been eating a helluvalotta oatmeal! 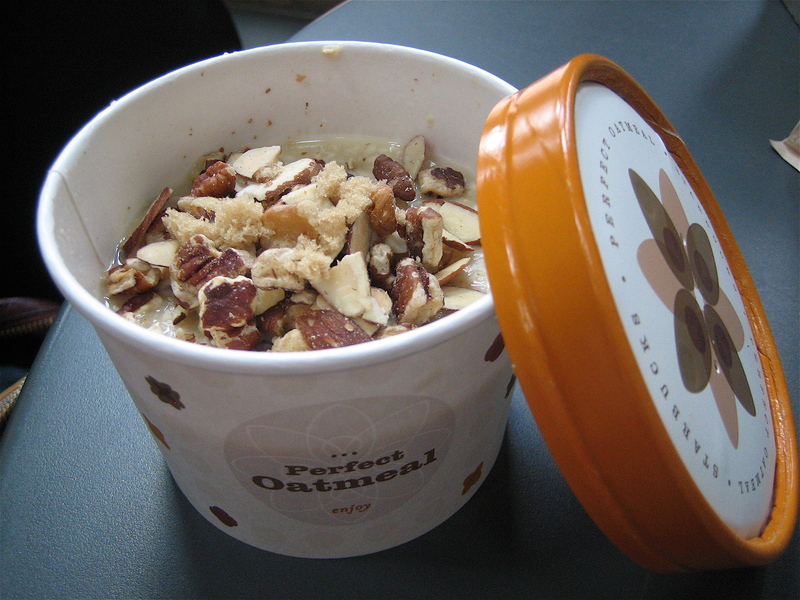 I definitely approve of the new Perfect Oatmeal at Starbucks, and I indulged in it twice this weekend. I semi-expected an overly sweet, lumpy mess, but the consistency and flavor is right on, and you don’t need to add milk with individually wrapped toppings like nuts, dried fruit and brown sugar. It’s around $3, but it’s also not the largest portion. Perhaps various sizes are in order? Either way, I suggest two if you’re hungry.